Tyson uses beer bottles as a home-made gnat trap to keep his greens as fresh as possible! Meet Tyson, a local microgreens grower from Louisa County, Iowa, His business, Allchin Acres, has been a local producer for years now; but before turning to growing microgreens Tyson had his heart set on growing mushrooms. He explains that due to a lack of knowledge of preparing mushrooms, his business forced him to look toward other greenhouse plants that could grow in a similar environment. People just aren't aware of how to prepare most types of mushrooms. Which hinders growers' ability to share their knowledge and product with their community because not many people are willing to take risks and use a wider variety of mushrooms. After making a few alterations and making a few equipment purchases, the business quickly flourished selling the "world's tiniest veggies" to local restaurants. What's unique about Tyson's business is that he will sell live trays to his chefs and restaurants--meaning that instead of harvesting the greens and shipping them X-amount of miles, the trays are transported to the restaurant still alive and the chefs harvest the greens as-needed. Which means... if you were to order one of these dishes at their restaurant, your tiny, leafy greens would literally be minutes-old fresh. 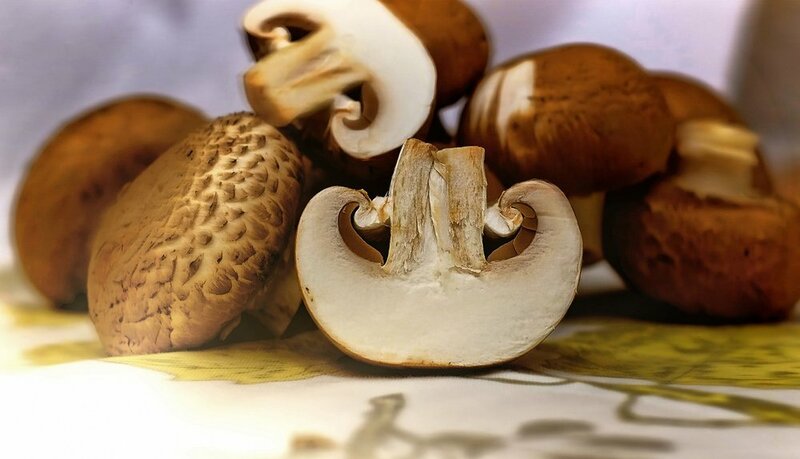 So since you all are probably mini-microgreens geniuses, let's spend a minute focusing on mushrooms. Growing mushrooms is not quite as care-intensive as microgreens but does require a lot of other components to grow successfully. Mushrooms have very different growing and harvesting needs than most other greenhouse plants and can be tricky to get perfect every time. 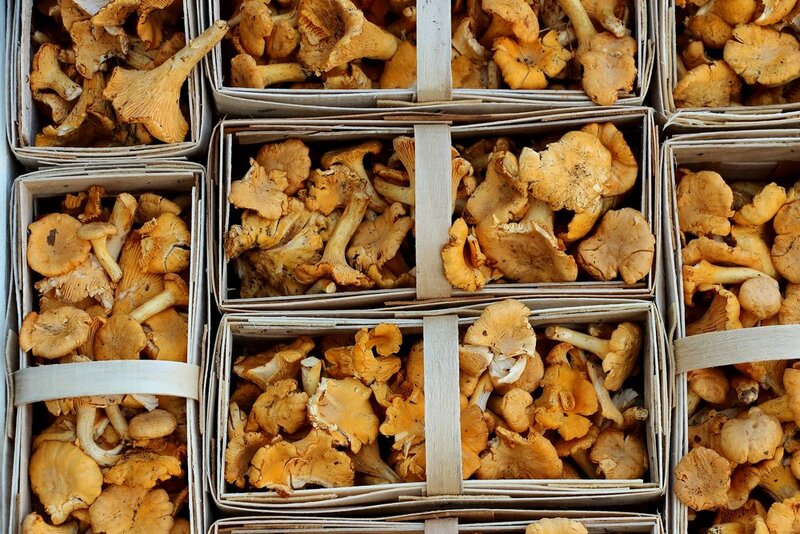 What most people probably don't realize is that while wild mushrooms grow in damp, mossy forest environments, but bulk mushrooms grown by businesses like Allchin Acres are grown indoors, in a dark, cool room. Tyson and his employees also prepare their own soil formula and follow proper health and safety rules while handling these fungi. Tyson plans in the near future to return to growing mushrooms to sell wholesale to restaurants with the same drive and passion for local food. He also hopes to be able to help inform chefs and the public on how to properly prepare mushrooms and help bridge that gap.